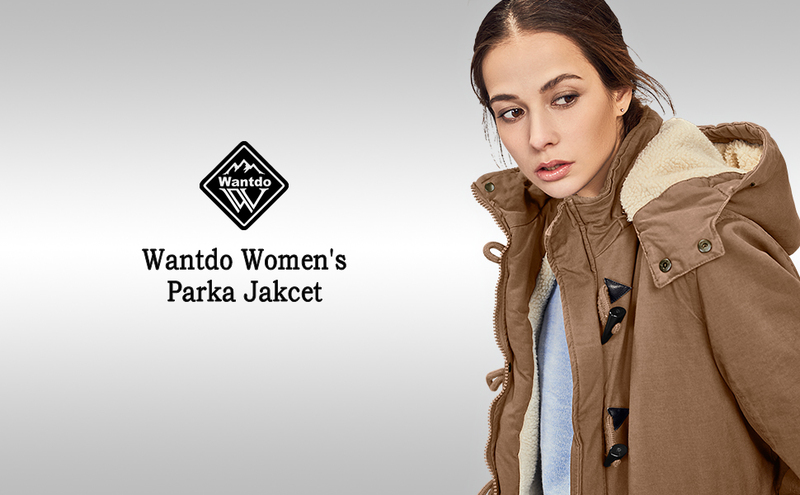 Wantdo Women’s winter collection is everything you want from a parka, being wind resistant, warm, functional yet modern. This women’s coat is carried over from the last season as it's one of your favorite coat, a contemporary classic and extremely versatile with its detachable hood. Made from dry waxed canvas, it will take you from season to season with ease. Sherpa insulation for extra warmth. It’s the stylish military version of our core winter essential. It’s curved hem and drawstring waist creates a defining shape. This inspiring easy to wear style is stripped back and perfect for everyday living.